During the economic downturn in the early 1990's, Burton Wheeler decided to embark on a new career at the age of 37 by enrolling in the HVAC program at Chattanooga State Technical Community College. While in school and after graduation, he worked for several different contractors. In 1996, he decided to start full time on his own in order to serve customers with integrity, quality and respect. In 2006, Wheeler Service Co became incorporated, at which time his wife, Valerie, joined him full time as Chief Financial Officer. 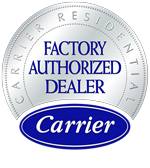 Burton considers it a privilege to provide superior Carrier products and service to the SE Tennessee area residents and small businesses. He has attempted to educate his customers on the merits of high efficiency heating and air systems which operate cleaner, quieter, and with lower utility bills. In the summer of 2011, he had the distinction of installing the first Greenspeed Intelligence Carrier unit in the Chattanooga tri-state area which was also the second install in the entire state of Tennessee. This unit is up to 20 SEER, has a variable speed compressor, and is able to sustain higher temperatures coming out of the vents when outdoor temperatures fall into the teens. Selling and installing this unit required specialized training because of its extraordinary features which Wheeler completed as soon as it was offered. To learn more, go to: http://www.youtube.com/watch?v=zzhTiFmaU1A. He gets very excited when talking to his customers about the incredible line-up of high efficiency Carrier products available. He is, however, attentive to his customers' financial limitations, so he routinely offers "Good, Better, Best" bid options for efficiency and price. He takes pride in the quality of his ductwork since he is a TVA Quality Contractor. Being on TVA's list of approved contractors allows him to offer financing through the local Sequatchie Valley Electric Cooperative: http://svalleyec.com/content/about-heat-pump-financing-0. He is also eligible to perform HVAC work under the eScore program, an exciting new Program developed through a partnership between Tennessee Valley Authority (TVA) and your Local Power Company: https://www.2escore.com/. 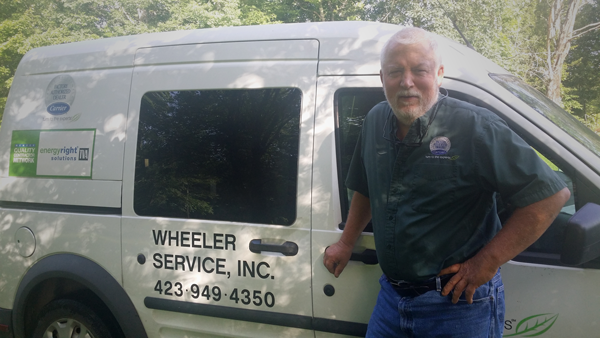 While Wheeler Service Inc. is a small company, our size enables us to provide personalized care whether it is for service and maintenance on any brand, new construction, replacement, financial questions, or scheduling appointments. We thank you for reading about us, and we would very much appreciate the opportunity to serve you.